How do we create interesting characters, characters with depth and conflicting desires? 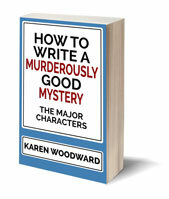 Today I talk about 10 ways writers can communicate the essence of a character to readers. 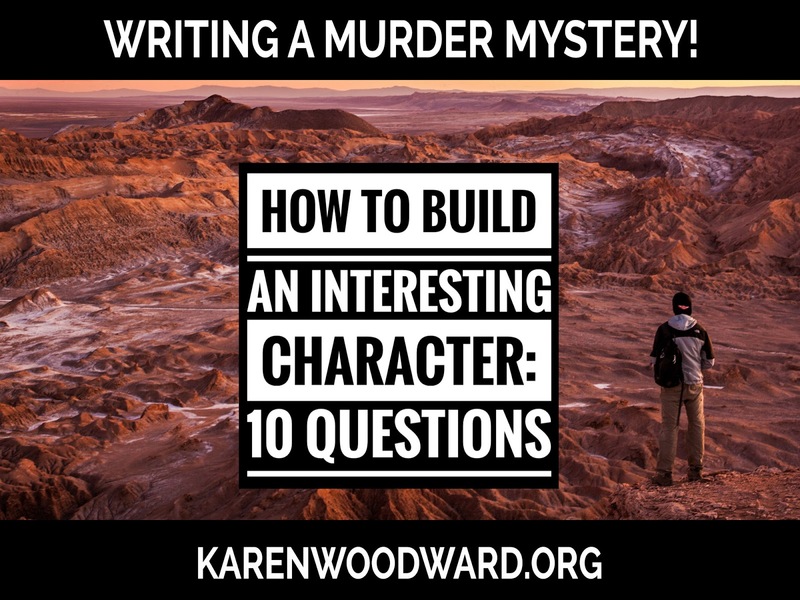 I’ve gone over this before (see: Tags & Traits: Characterization And Building Empathy and 7 Tips for Creating an Interesting Detective) but what I want to talk about today is a bit different: 10 ways writers can communicate the essence of a character to readers. But, before I get to the 10 ways, let’s take a look at direct vs indirect characterization. 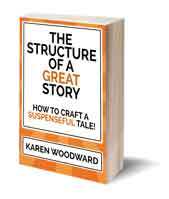 In direct characterization you, the writer, tell the audience—your readers—what a character is like. Example: Even though Johnny was 6’3’’ tall and had flaming red hair he was rarely noticed. Here the narrator tells us what Johnny is like. Note: The narrator could be unreliable, so even in direct narration a reader can’t just take what they read at face value. Here a character in the story lets us know what Johnny is like. Generally these descriptions reflect the (possibly inaccurate) beliefs of the character who is speaking. Here the character themselves tells you the reader about what they’re like. That is, it is their INTENTION to tell you something about themselves. This isn’t necessarily so for indirect characterization. 1. A physical description of the character. In what follows I’m going to rely on quotations from Stephen King’s work because he is one of the authors I’ve studied the most. Ullman stood five-five, and when he moved, it was with the prissy speed that seems to be the exclusive domain of all small plump men. The part in his hair was exact, and his dark suit was sober but comforting. I am a man you can bring your problems to, that suit said to the paying customer. To the hired help it spoke more curtly: This had better be good, you. There was a red carnation in the lapel, perhaps so that no one on the street would mistake Stuart Ullman for the local undertaker. The part in his hair was exact, and his dark suit was sober but comforting. I am a man you can bring your problems to, that suit said to the paying customer. Direct characterization: We’re told Ullman is wearing a dark suit. Indirect characterization: Ullman is condescending. 2. A psychological description of the character. From this I understand that Hodges is the kind of man who knows how to use a gun, has used one in the past to good effect, and feels he may need to do the same in the future. Although it’s only two and a half sentences, it gives a clear vision of one element of Hodges psychology. 3. The words a character uses. I suspect that what happened came as a result of too much cheap whiskey, of which Grady had laid in a generous supply, unbeknownst to me, and a curious condition which the old-timers call cabin fever. Do you know the term? Also, I know we’re going to cover this explicitly in a minute, but look at HOW Ullman talks. Like a textbook. Controlled. A teacher doling out his wisdom. 4. The WAY the character talks. Through their accent, intonation, confidence level, speech impediments, and so on. “I don’t know how to describe it. I never seen anything quite like it.” Gendron paused, scratching both cheeks, drawing his already long face down so he looked a little like the screamer in that Edvard Munch painting. “Yes I have. Once. Sorta. When I brought home a couple of goldfish for my daughter’s sixth birthday. Or maybe she was seven that year. I brought em home from the pet store in a plastic bag, and that’s what this looks like—water in the bottom of a plastic bag. 5. The character’s actions, what the character does. “He lay back, looking at the ceiling, listening to the wind. He was near the top of the Great Divide in the heart of winter, he was with a woman who was not right in her head, a woman who had fed him with IV drips when he was unconscious, a woman who had an apparently never-ending supply of dope, a woman who had told no one he was here. “These things were important, but he began to realize that something else was more important: the tide was going out again. He began to wait for the sound of her alarm clock upstairs. It would not go off for some long while yet, but it was time for him to start waiting for it to be time. “She was crazy but he needed her. Here Paul Sheldon doesn’t DO anything terribly exciting, but through his thoughts we see his situation. We see—we FEEL—how truly desperate, truly awful, a situation he finds himself in. Here it isn’t what he does but what he doesn’t do, what he can’t do. He is the powerless captive of a mentally unbalanced woman. Not good! But look at how Paul reacts to the realization of his dire situation. He is almost preternaturally calm. Yes, the sweat begins to bead on his forehead but part of that is because he’s in withdrawal from the opiates Annie Wilkes has been giving him. 6. What other characters say about him or her. This short paragraph paints a grisly picture of Steve Dubay’s home life. We come to understand the violence of his father and his mother’s grudging acceptance of it, but we infer this. It’s never explicitly stated. 7. The character’s reactions to others, his or her behavior toward others. Enough Stephen King quotes! That said, if anyone would like to send me a passage that nicely illustrates the below (it doesn’t have to be from a Stephen King novel! ), please share it in a comment. How does the character react to the people he/she works with. How does the character react to his/her friends? Think about the differences between how the character behaves toward these different groups: family, friends and acquaintances. For example, if the character doesn’t feel safe visiting her family she is going to act differently than when she hangs out with her friends. What are the character’s thoughts? Are they markedly different from what he says? Does the character lie to himself or just to others? I know I said “No more Stephen King quotes!” but my favorite first line, ever, is from Stephen King’s The Shining: Jack Torrance thought: Officious little prick. That sums up Jack Torrence and his anger, his bitterness. It gives us the character’s essence. What is the character feeling? Is what they are feeling consistent with how they are behaving? Are they in denial or trying to cover something up? Is how they are feeling consistent with what they are saying? There is no right or wrong here. If what a character is feeling is consistent with how they act and what they say, fine! That communicates that the character is generally honest. A straight-shooter. But if it isn’t consistent, if she is sad or angry and not letting on, then that is conflict, and conflict is the awesome-sauce of life—at least in stories! Does the character have a lair, a place they go to recharge and feel safe? If so, how does the character react to their lair? How do they act here? Do they act differently than elsewhere (e.g., their work)? How do they feel? Is how they feel and how they act at variance. How does the character react to the place where they work? Do they act differently than elsewhere? If so, in what way? Every post I pick something I believe in and recommend it. This serves two purposes. I want to share what I like with you, and, if you click the link and buy anything over at Amazon within the next 24 hours, Amazon puts a few cents in my tip jar at no cost to you. So, if you click the link, thank you! If not, that’s okay too. I’m thrilled and honored you’ve visited my blog and read my post. I’ve read it and it’s wonderful! It’s geared toward writing either a traditional or urban fantasy, but the general structure she talks about is broadly applicable to any genre. In any case, highly recommended!